One of my favorite parts of my job is analyzing data! I’m the weird one on the team. HA! 😉 Here at The Peters Company we had an amazing February. 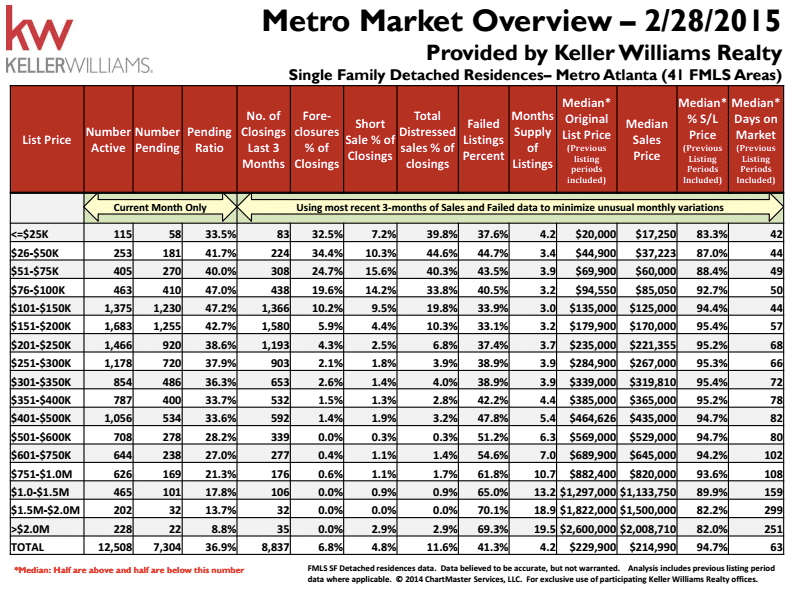 So, I’m always interested to see how the rest of the Atlanta market performed. So… How does February 2014 compare to February 2015? ← Just Listed :: Charming Tucker Townhome!